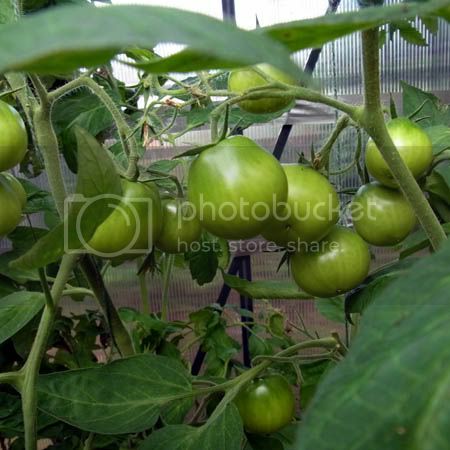 Posted: Mon Jul 02, 2012 7:14 am Post subject: How are your tomatoes doing? Tough year for anything that likes the sun. 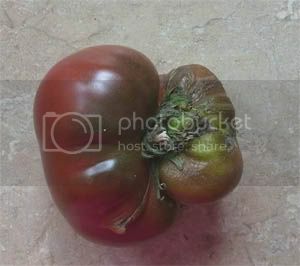 Havn't had a ripe tomato yet. How is everybody elses? Wondering if I should cut back on feeding as days are generally so dull. i don't know if we even have any unripe tomatoes yet! though we've not been pinching out the side shoots, but there are a fair few flowers. I have lots of tomatoes NOW but for a long time no fruit on the plants at all. They really need some heat and sun. Usually I have lots but this year lots of flowers but actual tomatoes, they only started to come on in the last week or two. Lucky you What varieties and when did you sow them Maeve? 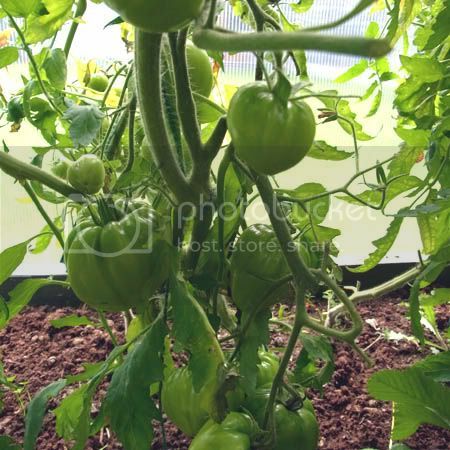 Tomatoes require heat more so than sunlight for their fruits to ripen, and the temperature has been warmer lately, even though sunshine has been lacking. Yes just to add my tuppence worth have very healthy looking plants but very little fruit formed yet. I do have lots of flowers. plants are about 4ft high now with about 5 trusses of mostly flowers. Am wondering if I should pinch out the growing points now and leave it at that many trusses and concentrate on getting some fruit developed. Incidentally I have just started feeding. I'm very new to this but I would imagine it would make sense at this stage of the so called summer to do that on at least one plant in the hope of getting something to eat as soon as possible. I've stopped most of my plants now at 6 or 7. 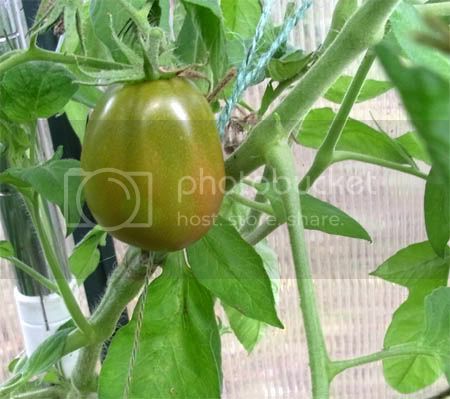 In answer to your question I am growing Principe Bourgese, they are an italian plumb tomato, I experimented this year and saved seeds from last years tomatoes to see if I could grow tomatoes successfully from my dried seeds and it has worked, not all that well but is that because of the seeds or the summer. I am going to do the same again this year and dry the seeds from these tomatoes and cucumbers, and my friend is going to swap seeds from a tomato called gardeners delight which she finds easy to grow and great flavour. Some of the tomatoes have turned orange so I may be lucky yet. Thanks for letting me know Maeve, I just saw this. Been away and just got back. Cant wait to get up to the plot to see how my plants are doing!! Bugger. 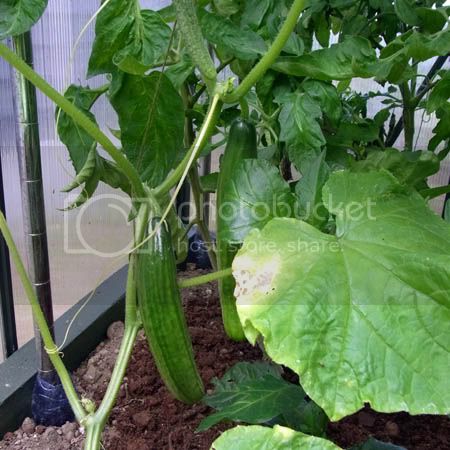 Can you take slips from your greenhouse toms and try them in the tunnel? You might get a late crop if you stop them at a few trusses and the weather is kind?? My tomatoes are suffering from the same thing that mcgrueser has mentioned. I know it's not very picture perfect but that's what I'd call "organic"
I'm removing the most diseased leaves but it's fighting a loosing battle after all. Can't really take slips, Dormouse, because they are just bush variety cherries in the greenhouse. 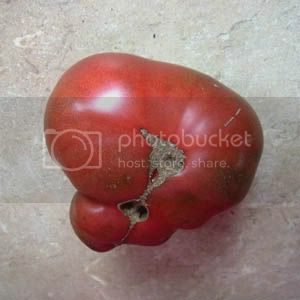 Cheers for the idea yesterday Dormouse about taking slips from another tomato. 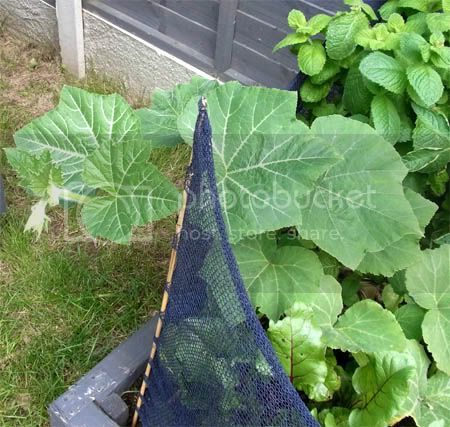 I went over to my uncle who is growing them and his needed a clean up and I needed the cuttings so it was win win... I'll have to keep you updated on if it will be a success though. No worries, do let know how it goes.